So, my dad gave my brother and I an amazing gift this last Christmas: thousands of digital scans of family photos dating from the 1890s to the present. As I’m looking through them (there are about 22,000), I began to notice that camping has been in our family (both sides) forever. 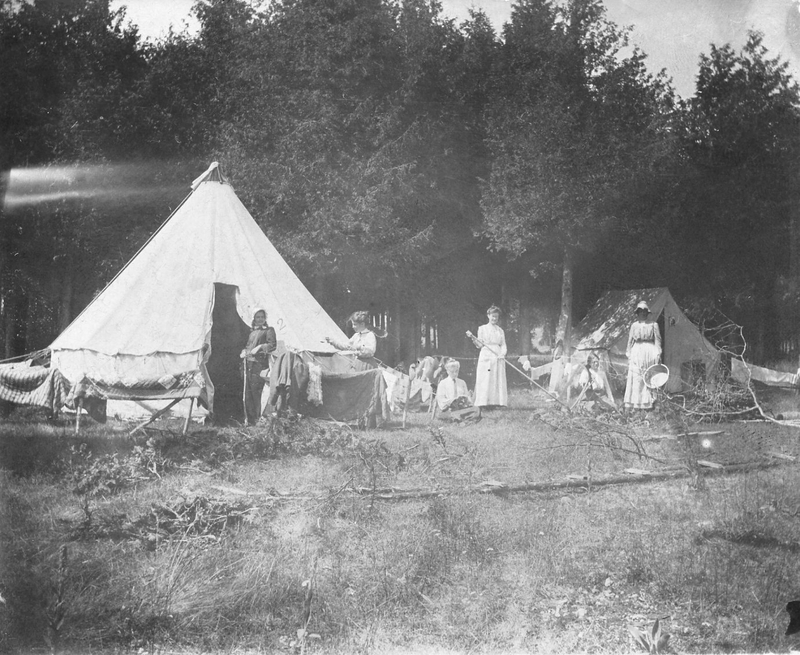 In the photos, camping begins (on my mom’s side) with my great-grandmother . This was taken somewhere near Olean, NY circa 1902. They’re wearing bonnets, and everything. Check out those tents. 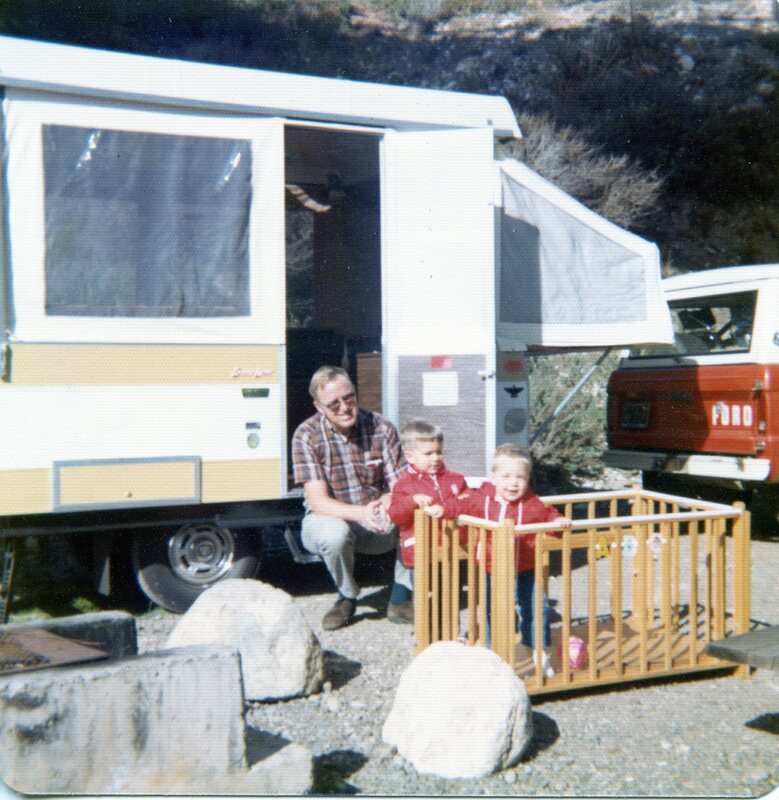 This is the last camping you’ll see on this side of the family until my mom becomes a reluctant camper when my parents buy a tent trailer in 1973. 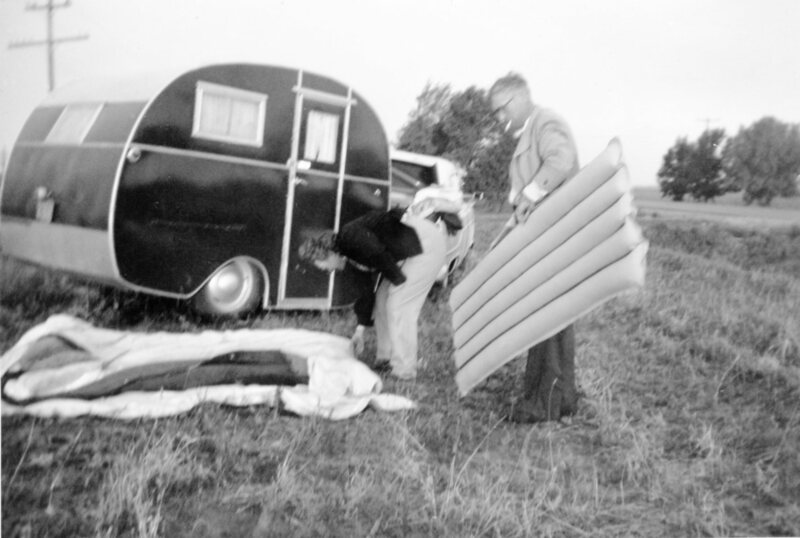 Camping also seems to have always been a part of the McDougall side of the family on the West Coast. 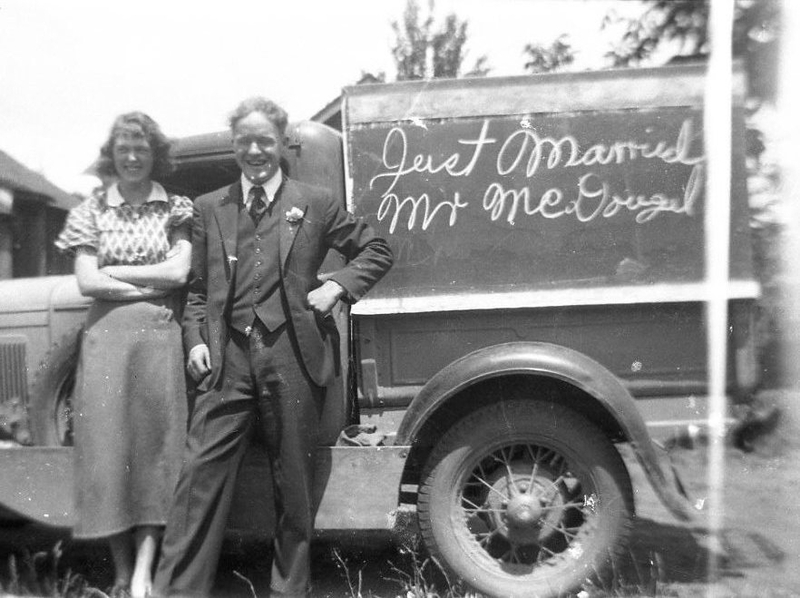 Grandpa and Grandma McDougall (Merle and Myrtle) were married on June 23, 1933. 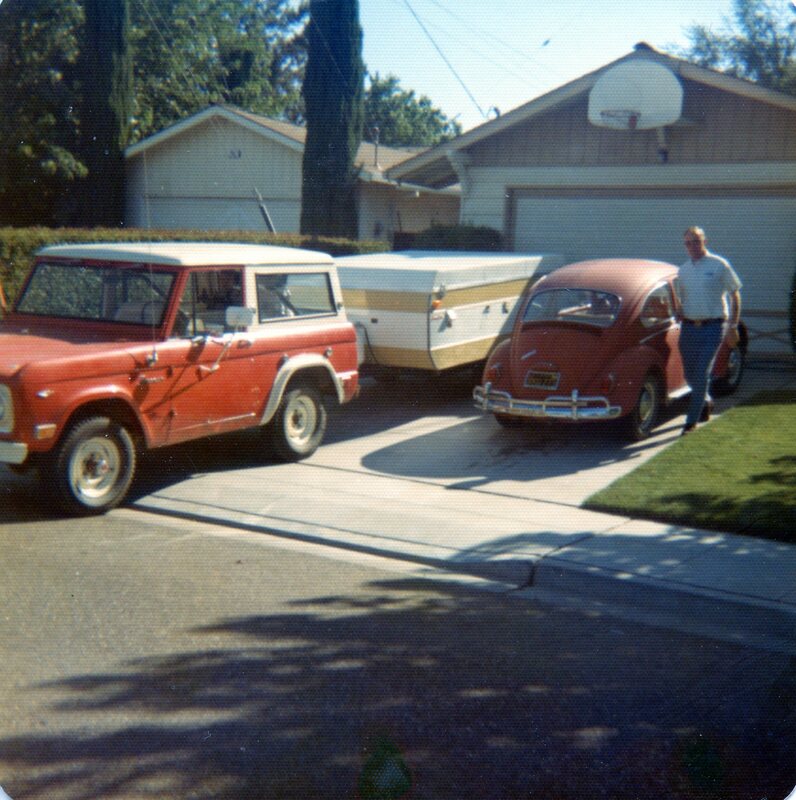 Then, grandma tells me they left for their honeymoon, camping down the Oregon coast, sleeping in this covered pickup with a mattress in back. Is Grandpa wearing the same carnation? And why is McDougall misspelled? 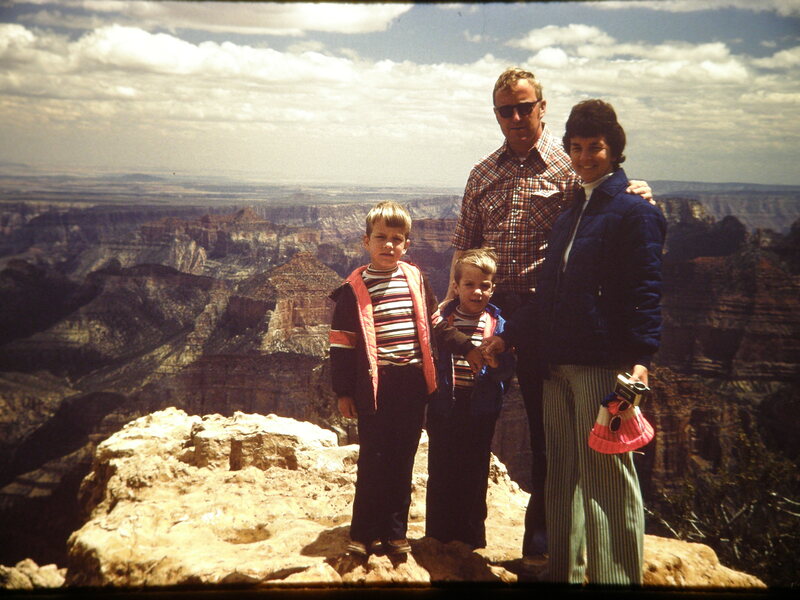 Grandma’s brother, Jerry was also a camper, and on one trip, they traveled together to Niagara Falls with her father in May of 1955. Looks like they stopped in a field, and the lucky ones camped inside the canned-ham trailer in Nebraska. Lo and behold, with the tax refund my parents got when my younger brother was born (thank you to Tim, and the IRS), they bought a tent trailer. 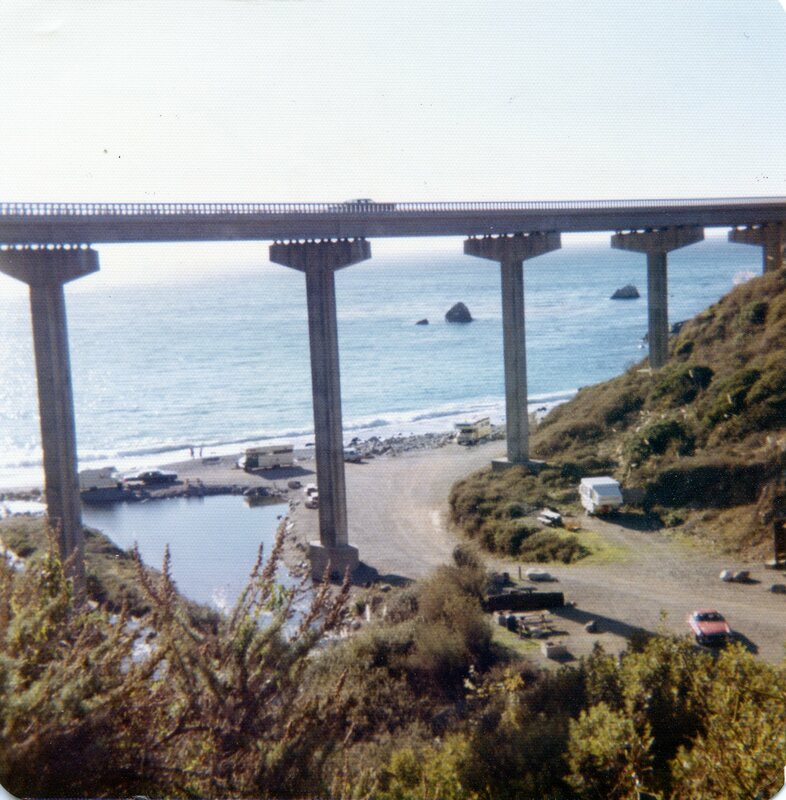 Here, preparing for our first trip: August 23, 1973. Our first night in the trailer (Tim in his crib). I guess I was hooked. 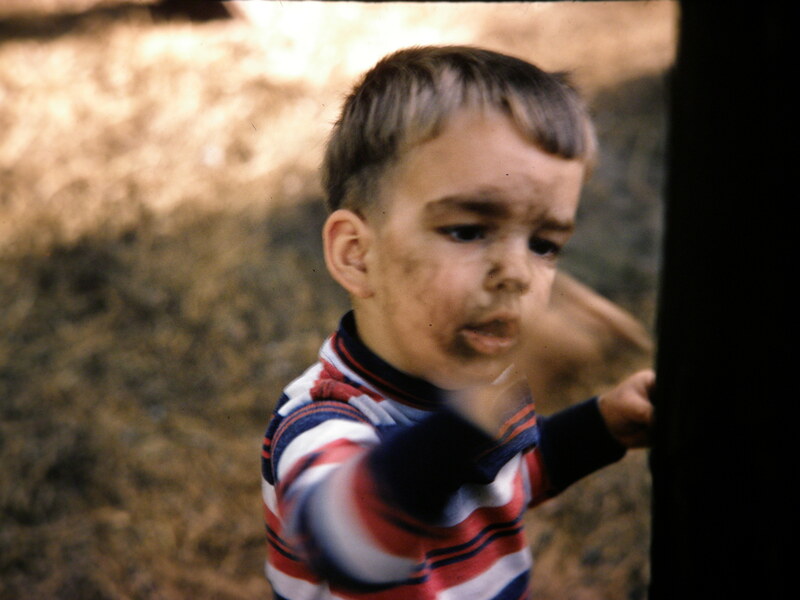 Soon thereafter, we took off the “training wheels” and camped in Yosemite. Looks like Tim likes to throw his toys out of the crib. 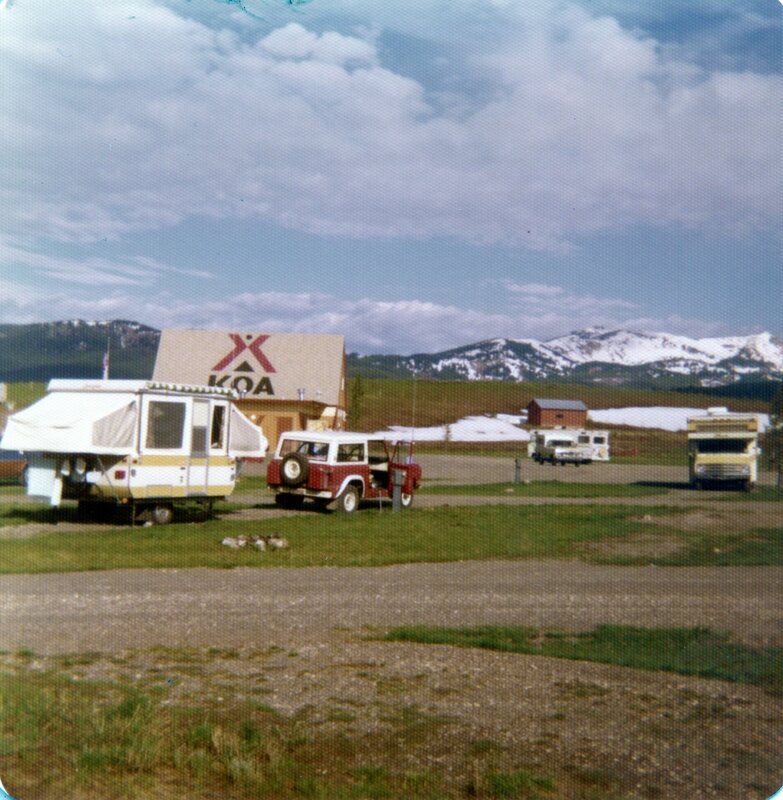 Of course, KOA is always a good option.West Yellowstone, Montana in May of 1976. 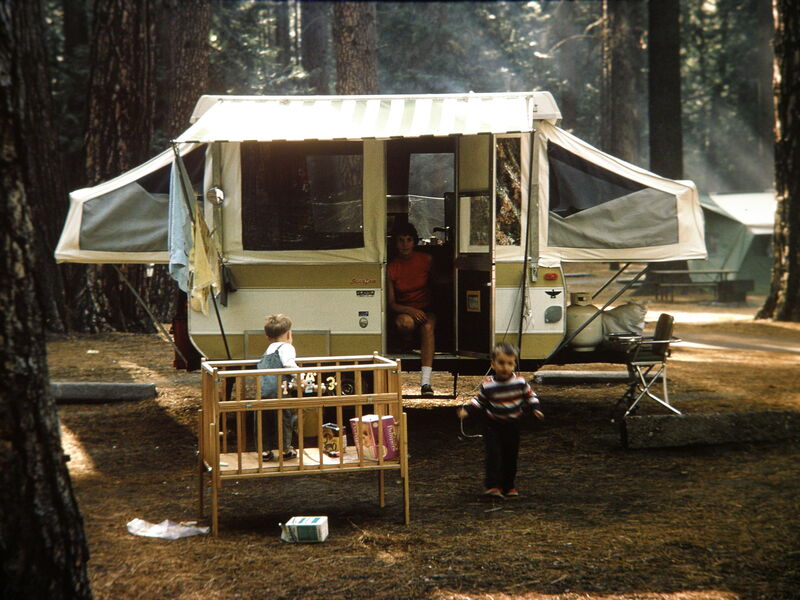 Thank you, mom & dad, for introducing me to the joys of camping. 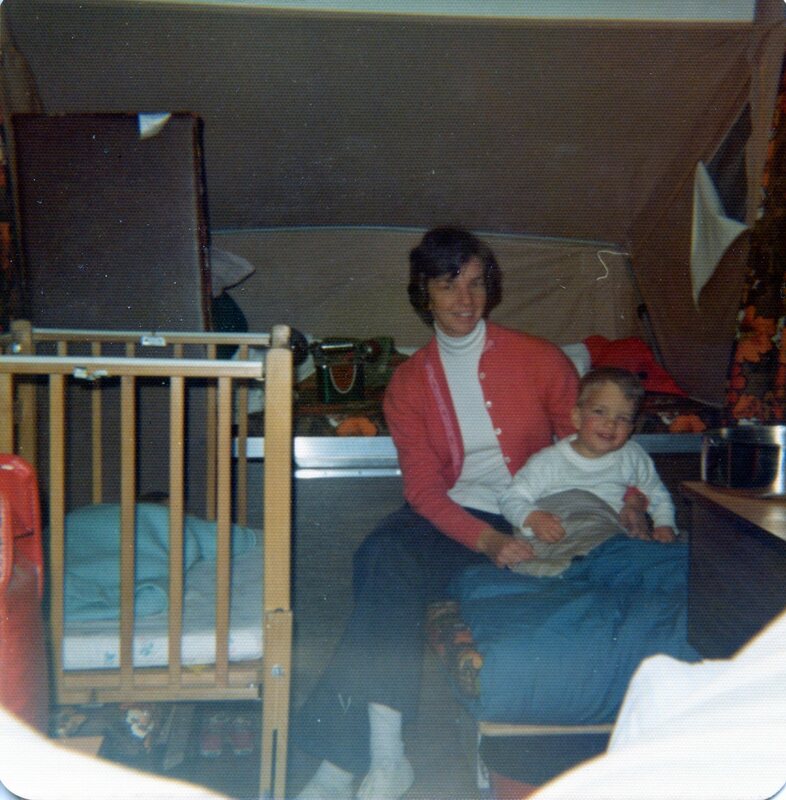 And for bringing my camping-buddy Tim into this world to share it with me! And thanks to you both for taking such good pictures (and marking them with info on the backs). For a slide show of these full-res photos, along with some extras, click here. 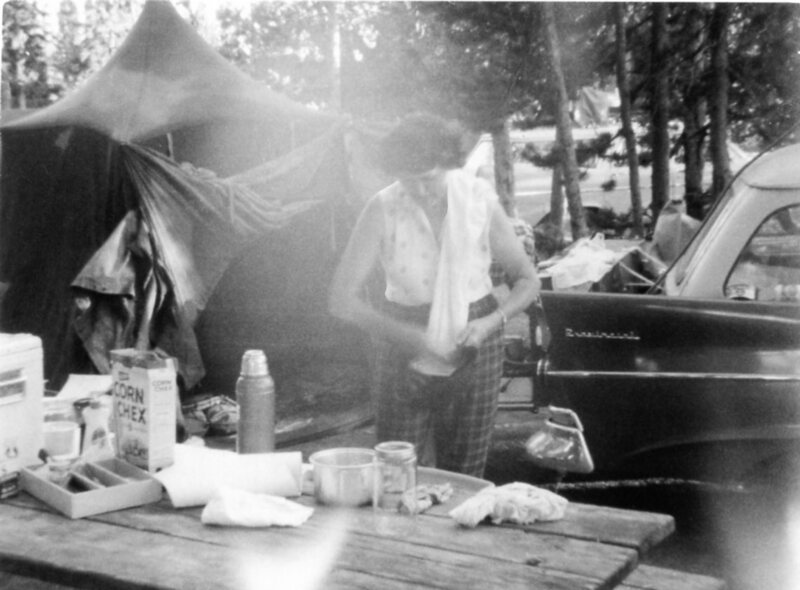 I am not sure what is more amazing, the decades of camping or the documentary photos! 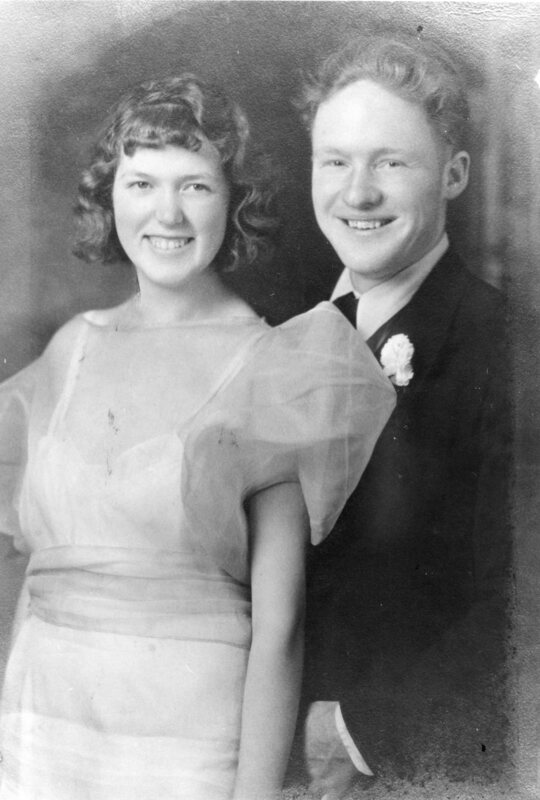 What a marvelous unfolding of family history. Merle and Myrtle (not to mention the nameless bonnet wearers) must be proud! 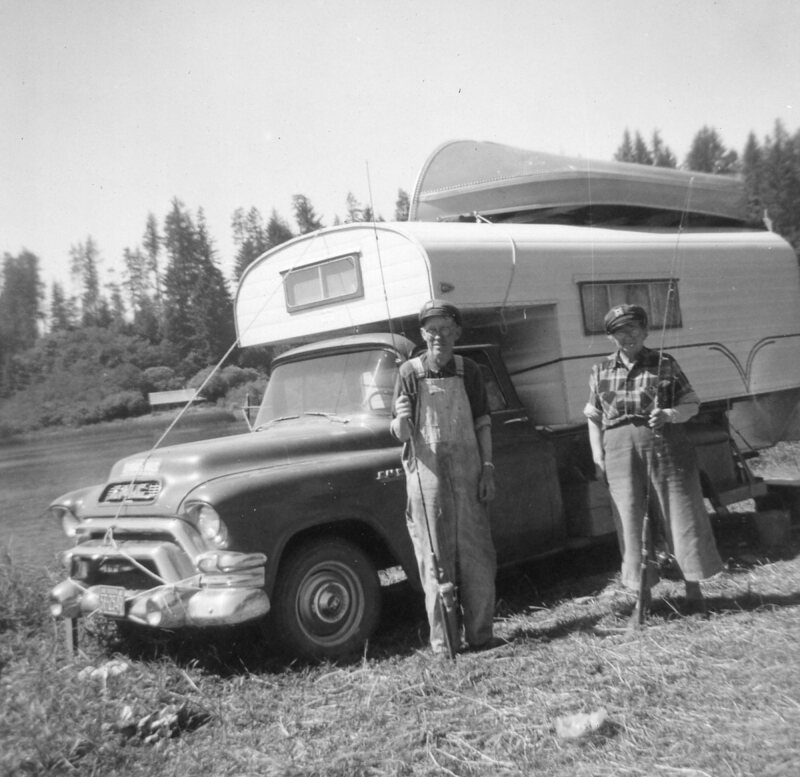 What a great chronology of your camping heritage. I love this post. Great pictures Dan! I hadn’t seen the ones with Grandma/Grandpa and Great-Grandma/Great-Grandpa. Thanks for sharing them!